The Providence Island colony was established in 1631 by English Puritans on what is now called Isla de Providencia, about 200 kilometres (120 mi) east of the coast of Nicaragua. Although intended to be a model Puritan colony, it also functioned as a base for privateers operating against Spanish ships and settlements in the region. In 1641, the Spanish overran and destroyed the colony. Isla de Providencia, the adjacent Santa Catalina island, and four smaller islands lie within a wide lagoon surrounded by a massive coral reef. They are the visible part of a stratovolcano that rises from the sea floor, extinct for the last four million years. The total area of the islands is 18 square kilometres (6.9 sq mi). 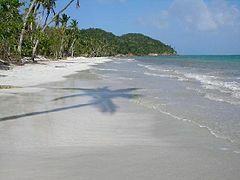 Providencia is 6.5 by 4 kilometres (4.0 by 2.5 mi). Santa Catalina island to the north is 1.5 by 1.25 kilometres (0.93 by 0.78 mi). Providencia has a central peak 360 metres (1,180 ft) high, from which spines run down to the sea enclosing fertile valleys. Temperatures are around 29 °C (84 °F) all year. Easterly trade winds are normal during all seasons, bringing the most rain in the autumn. Summers are relatively dry. The surrounding coral reefs make the approach difficult for those who do not know the waters. The two larger islands were once one, called Santa Catalina by the Spanish, but in the late seventeenth century, buccaneers cut a neck of land between them to make a secure retreat on what is now the small island of Santa Catalina. The island was known to French and Dutch pirates, but apparently was first visited by English ships in 1628. In that year, the Puritan Robert Rich, 2nd Earl of Warwick, sent three privateer ships to the West Indies. They reached San Andrés, to the south of Santa Catalina, and landed thirty men there to plant tobacco for snuff. Sussex Camock, with his bark Warwicke & Somer Islands, remained on San Andreas. Daniel Elfrith returned to England via Bermuda to report the discovery. Elfrith told the governor of Bermuda, his son-in-law Philip Bell, of their findings. In March 1629, Bell wrote to his cousin Sir Nathaniel Rich announcing the discovery of the two islands. Bell's letter described the island as "lying in the heart of the Indies & the mouth of the Spaniards." Thus it was an excellent base for privateering against the Spanish ships. 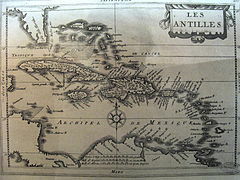 Bell considered that the island would also provide excellent revenue from tobacco and other crops. Bell's letter led to the formation of the Providence Island Company to organize the settlement. Elfrith returned to Santa Catalina in the fall of 1629, explored the Mosquito Keys and the adjacent coast, and established friendly relations with the Indians. The Providence Island Company was set up as a joint stock company that included many prominent English Puritans. They considered that Providence Island would become the leading Puritan colony in the New World since its climate was far superior to that of the Massachusetts Bay Colony, which was founded the same year. Leading members of the company included the Earl of Warwick, his brother Henry Rich, 1st Earl of Holland and their cousin Sir Nathaniel Rich, William Fiennes, Lord Saye and Sele, and Robert Greville, Lord Brooke. Philip Bell sailed to Providence in 1629, taking several Bermudians with him including whites and blacks. In November 1630 the Providence Island Company decided that Captain Daniel Elfrith was to be Governor until he returned, after which Captain Philip Bell would be sole Governor. Each adventurer (shareholder) was to obtain as many men and boys as were willing to serve, and the good ones were to be shipped next January. In February 1631 Captain William Rudyerd was appointed commander of the settlers sailing from England to Providence Island in the Seaflower. In April 1632 the Company learned that the Seaflower had arrived. About eighty Bermudians moved to Providence in 1631. Some became involved in religious disputes, and were sent back to Bermuda. In May 1632 the Company instructed the master of the Charity, who was taking another 150 settlers to Providence, that no passengers were to be brought home from Providence without a licence. Until 1635 the Company discouraged planters from bringing their wives and children. To help preserve order, the Company ordered servants and other single people to live in "families". Governor Bell was instructed to "distribute all the Inhabitants into several ffamilies whereof one shalbe the Chiefe." This chief was responsible for ensuring his family did their duty and was to lead them in prayer twice a day. The company forbade swearing, drunkenness or profaning the Sabbath, and ordered Bell to "take care that Idelness as the Nurse of all Vice be carefullie eschewed." Bell was instructed to seize and destroy "cards and Dice and Tables" that had been sent to the island. Apart from his moral duties, the instructions that Bell received from the Company in 1631 included arranging lodgings for the minister, preventing men from planting tobacco but making them plant corn, and if possible sugar cane, building houses, a church and fortifications against possible attack by the Spanish. An important difference between Providence Island and the Massachusetts Bay colony was that the Massachusetts settlement was led by resident gentry, who allowed the colony to evolve towards self-sufficiency, while Providence Island was ruled by absentee grandees who kept the settlers totally dependent on them. The colonists were only tenants, with half their profits going to the investors in the company. With a limited stake in the colony, the colonists were unimaginative about ways to improve it. There was a glut of tobacco on the market. The Chesapeake, Barbados and St. Kitts colonies were producing far more tobacco and of better quality. The directors tried to encourage the planters to grow other crops such as silk grass, cotton, sugar cane, pomegranates, figs or juniper berries. However, despite a collapse in prices in 1634, the planters still persisted in growing tobacco. Labor on Providence island was originally undertaken by indentured servants from England, although Bell brought some enslaved Africans from Bermuda. Around 1634–1635 the four-year terms of the indentured servants expired, and planters demanded the right to use slaves in their place. One colonist, Samuel Rishworth spoke out against this practice, saying that Christians should not hold slaves. Bell silenced this man on instructions from the Company, so he could encourage the slaves to seek their freedom from their masters. By 1635 there was a population of 500 white men, 40 women, 90 blacks and a few children, scattered across the island. The village of New Westminster had just thirty houses, mostly of timber. Only the church and the governor's house were of brick. Forty guns were distributed between thirteen forts at different points on the island, making no one point particularly strong. Wee well hoped (according to our Intentions) That wee had planted a Relligious Collonye in the Isle of Providence, instead whearof wee fynde the roote of bitterness plentifullye planted amongst you, an industrious supplanting one of another, and not a man theare of Place (a straunge thinge to consider) but hee doth both accuse and is accused; these are uncomfortable fruites of Religion. At first the island was vulnerable to attack. Samuel Axe and Workmaster Goodman were given responsibility for fortification. 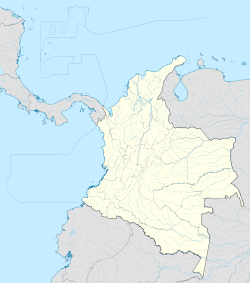 Both men became involved in a dispute with Governor Philip Bell and left with Sussex Camock to Cabo Gracias a Dios on the Mosquito Coast to the west, in what is now Nicaragua. Other men also moved to the Cape. Gun carriages, ropes and powder were spoiled by the rain on Providence Island because the settlers did not have boards to make sheds, and did not have sawyers to make boards. At the start of 1634 the Reverend Hope Sherrard reported that there were far too few men to man the forts or repel a landing force, and only enough ammunition for one day's fight. On 30 July 1634 the company wrote to Captain Sussex Camock approving of his achievements in opening up trade with the Mosquito Indians, but said there was discontent in Providence, caused by so many men having been taken from it, and that the island needed strengthening. They hoped that Camock could allow Captain Axe to return to Providence to work on the fortifications there. In June 1634 Captain William Rudyerd told the investors in England that the island had no worth other than as a base for privateering, but if properly fortified, the island could be held against any force by 600 men. In December 1634, a Dutch captain told the company that the fortifications were now "handsome, and their ordance fit to prevent the approach of ships." The Spanish did not hear of the Providence Island colony until 1635, when they captured some Englishmen in Portobelo, on the Isthmus of Panama. Francisco de Murga, Governor and Captain General of Cartagena, dispatched Captain Gregorio de Castellar y Mantilla and engineer Juan de Somovilla Texada to destroy the colony. The Spanish fleet anchored outside New Westminster in July 1635, and Castellar sent a messenger to demand the surrender of Providence island. Governor Bell refused. The Spanish launched an attack at a poorly defended point, but were repelled by gunfire from the heights and were forced to retreat "in haste and disorder". The Spanish took prisoners, who told them of the "Ysla de Mosquito" (presumably the Miskito Keys). Castellar and Somovilla were sent back in October 1635 to search for the Mosquito Island, but they were unable to find it. 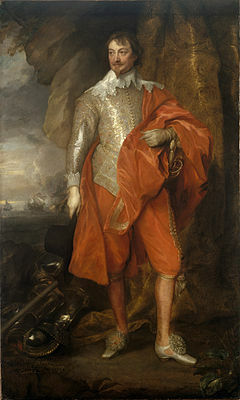 After the attack, under pressure from the Company, King Charles I of England issued letters of marque to the Providence Island Company on 21 December 1635. These authorized raids on the Spanish in retaliation for a raid that had destroyed the English colony on Tortuga earlier in 1635. [a] The company could in turn issue letters of marque to subcontracting privateers who used the island as a base, for a fee. This soon became an important source of profit. Thus the Company made an agreement with the merchant Maurice Thompson under which Thompson could use the island as a base in return for 20% of the booty. The greatest fear that possessed the Spanish in this voyage, was the Island of Providence ... whence they feared lest some English ships should come against them with great strength. They cursed the English in it, and called the island a den of thieves and pirates, wiching the King of spain would take some course with it, or else that it would prove very prejudicial to the Spaniards, lying near the mouth of the Desaguadero, and so endangering the frigates of Granada, and standing between Portobel and Cartegena, and so threatening the Galeons, and the King's yearly and mighty treasure. Nathaniel Butler was the last full governor of Providence Island, replacing Robert Hunt in 1638. Hunt remained on the island. Butler had formerly been Governor of Bermuda, where he had caused extensive fortifications to be erected, and he saw fortifying the island as his main task. Butler had shown he could get on with the Puritans in Bermuda. In Providence Island he was less successful in this aspect of his role, and found it hard to put up with the ministers. Butler returned to England in 1640, satisfied that the fortifications were adequate, deputizing the governorship to Captain Andrew Carter. The island continued to be strategically important as a fertile island with ample water near to the Spanish main. in January 1666 the Dutch privateer Edward Mansvelt, whose fleet included Henry Morgan's ship, took the island, known by then as Old Providence. In December 1670 Morgan returned to Old Providence, which now had a stone castle, Santa Teresa, and two forts. There were only 190 soldiers, who were overwhelmed by the force of 1,000 buccaneers. Henry Morgan used the island as a base for his raid on Panama in 1670/1671. For a period the island again served as a base for operations against the Spanish. The English remained on the Mosquito Coast, and their protectorate there lasted until 1900. ^ The island colony of Tortuga had come under the protection of the Providence Island Company. In 1635 a Spanish fleet carrying 250 soldiers led by Rui Fernández de Feunmayor raided Tortuga. 195 colonists were hung and 39 prisoners and 30 slaves were captured. ^ It seems that the Company, although relieved of all expense after 1636, never received their full share of the booty. ^ a b The Geology of Providencia. ^ a b Kupperman 1995, p. 26. ^ a b c d e Kupperman 1995, p. 196. ^ a b c d e Offen 2011. ^ Kupperman 1995, p. 25. ^ Kupperman 1995, p. 1. ^ a b Bernhard 1999, p. 35. ^ Coldham 1987, p. 93. ^ Coldham 1987, p. 94. ^ Coldham 1987, p. 101. ^ Coldham 1987, p. 102. ^ Games 1999, p. 49. ^ Games 1999, p. 96. ^ Games 2008, p. 160. ^ Tomlins 2010, p. 251. ^ Elliott 2007, p. 44. ^ Goodman 1994, p. 180. ^ Games 2008, p. 176. ^ Hamshere 1972, p. 46. ^ a b c Latimer 2009, p. 83. ^ Kupperman 1993, p. 241. ^ Kupperman 1993, p. 240. ^ Fortescue 1860, p. 187. ^ Latimer 2009, p. 85-86. ^ Latimer 2009, p. 84. ^ a b Latimer 2009, p. 86. ^ a b Hamshere 1972, p. 47. ^ Latimer 2009, p. 85. ^ Latimer 2009, p. 89-90. ^ Kupperman 1993, pp. 242–243. ^ Hamshere 1972, p. 48-49. ^ a b c Latimer 2009, p. 90-91. ^ Breverton 2005, p. 23. ^ Breverton 2005, p. 21. ^ Breverton 2005, p. 59. ^ Breverton 2005, p. 75. ^ Hamshere 1972, p. 45. Bernhard, Virginia (1999-10-18). Slaves and Slaveholders in Bermuda, 1616–1782. University of Missouri Press. p. 34. ISBN 978-0-8262-1227-6. Retrieved 2012-09-08. Breverton, Terry (2005-02-01). Admiral Sir Henry Morgan: "king of the Buccaneers". Pelican Publishing. ISBN 978-1-58980-277-3. Retrieved 2012-09-07. Coldham, Peter Wilson (1987). The Complete Book of Emigrants: 1607–1660. Genealogical Publishing Com. ISBN 978-0-8063-1192-0. Retrieved 2012-09-09. "Conquista de la Isla de Santa Catalina". Varias relaciones del Perú y Chile: y conquista de la isla de Santa Catalina, 1535 á 1658. Impr. de M. Ginesta. 1879. p. 331. Retrieved 12 September 2012. Elliott, John H. (2007-04-24). Empires of the Atlantic World: Britain and Spain in America 1492–1830. Yale University Press. ISBN 978-0-300-12399-9. Retrieved 2012-09-06. Fortescue, Sir John William (1860). Calendar of State Papers: 9- ] America and West Indies, 1574. Longman. Retrieved 2012-09-07. Games, Alison (1999). Migration and the Origins of the English Atlantic World. Harvard University Press. p. 27. ISBN 978-0-674-57381-9. Retrieved 2012-09-08. Games, Alison (2008-07-15). The Web of Empire: English Cosmopolitans in an Age of Expansion, 1560–1660. Oxford University Press. ISBN 978-0-19-533554-5. Retrieved 2012-09-08. Goodman, Jordan (1994-12-21). Tobacco in History. Taylor & Francis. ISBN 978-0-415-11669-5. Retrieved 2012-09-08. Hamshere, Cyril (1972). "Providence". The British in the Caribbean. Harvard University Press. p. 46. Retrieved 2012-09-10. Kupperman, Karen Ordahl (1993). "A Puritan Colony in the Tropics: Providence Island, 1630–1641". Settlements in the Americas: Cross-Cultural Perspectives. University of Delaware Press. ISBN 978-0-87413-411-7. Retrieved 2012-09-09. Kupperman, Karen Ordahl (1995-06-30). Providence Island, 1630–1641: The Other Puritan Colony. Cambridge University Press. ISBN 978-0-521-55835-8. Retrieved 2012-09-06. Latimer, Jon (2009-06-01). Buccaneers of the Caribbean: How Piracy Forged an Empire. Harvard University Press. p. 84. ISBN 978-0-674-03403-7. Retrieved 2012-09-07. Offen, Karl (March 2011). "La cartografía colonial de Centroamérica y el topónimo ‘mosquito’". Asociación para el Fomento de los Estudios Históricos en Centroamérica. Retrieved 2012-09-06. "The Geology of Providencia". Caribbean Volcanoes. Retrieved 2012-09-07. Tomlins, Christopher (2010-08-31). Freedom Bound: Law, Labor, and Civic Identity in Colonizing English America, 1580–1865. Cambridge University Press. ISBN 978-0-521-13777-5. Retrieved 2012-09-06. This page was last modified on 9 August 2015, at 21:13.